One of the most popular technologies out there deals with the way we travel. We live in a very mobile world, so anything we can do to travel easier, cheaper, and with the environment in mind is something that’s going to catch on. This is what’s happened with hybrid vehicles — mostly. The thing is, there are a number of misconceptions about hybrid vehicles floating around out there. The majority of these are about hybrid battery replacement. Here are three of the most common misconceptions and what every hybrid owner or potential owner should know about them. 1. Battery replacement is really expensive. One of the things that people believe most when it comes to hybrid battery replacement is that it’s going to cost them an arm and a leg. This is only partly true. 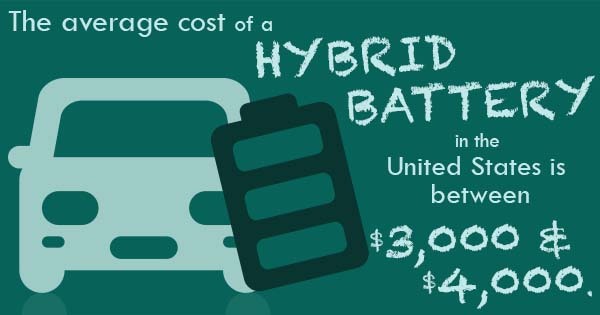 The average cost of a hybrid battery in the United States is between $3,000 and $4,000, which is quite a bit of money. The thing is, the cost of replacement is going to vary based on the make and model of the car. Moreover, buying a new battery from the dealer isn’t the only option. Besides, the great fuel economy saves owners on gas for the lifetime of the car, which definitely offsets at least part of the cost of replacement. 2. Hybrid batteries need to be replaced often. Another common misconception about hybrid battery replacement is that it needs to be done often. This just isn’t the case. In the past, hybrid batteries were seen to fail as soon as six years after the initial purchase of the vehicle. Hybrid vehicles have been on the American market for about a decade and a half, so the technology has had plenty of time to advance. Battery replacement just doesn’t happen as often, since advancements in the technology have made them longer-lasting and better-performing. 3. Replacement is the only option. When it does come time for hybrid battery replacement, one common misconception is that the only option is to buy a brand new one from the dealership. This isn’t true either. Not only are there options for repairing batteries — like remanufacturing and reconditioning — but there are options for buying batteries from different companies, like third party aftermarket providers. Did this clear up any of the misconceptions you had about hybrid battery replacement? Feel free to ask us in the comments section below.